We are only closed three days out of the year, Thanksgiving, Christmas and New Years. Our prices are the same regardless of size/weight. Every dog or cat gets the same amount of care, attention, and affection. We accept all breeds of dogs. We are firm believers that it is the environment in which the dog is raised that causes problems/aggression, not the breed. However, you must notify us of any dog behavior problems your dog has. Dog-aggressive dogs are usually not a problem. We have several runs with high walls so your dog will not become stimulated by another dog. Leptospirosis vaccine. After speaking with several veterinarians we have decided not to make the Leptospirosis vaccine mandatory. Leptospirosis is a bacterial disease that can cause kidney failure and is also linked to liver disease if not diagnosed in the early stages. However, if caught early enough it is easily treatable with antibiotics. Symptoms include fever, vomiting, and bloody stools. This disease can infect people and animals. Animals normally contract it by coming into contact with the urine or feces of infected animals or livestock including standing water, or exposure to other dogs in high density areas like dog shows, dog parks, etc. So we will leave it up to you to decide whether or not to vaccinate your dog. 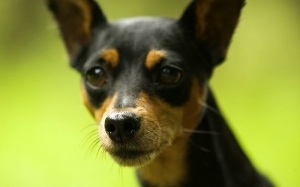 Vaccines Required: We require Rabies (for dogs over 6 months), Distemper, and Bordetella. We advise the Bordetella be given every six-months, but we will accept it yearly. Bordetella should be given at least 48 hours prior to boarding. If you administer your own vaccines, please save the labels and/or receipts as verification. Heartworm, Fleas and Ticks: The Southern Arizona area does have ticks and mosquitoes. We suggest that you use monthly heartworm and tick preventives year round. At the very least, such preventive treatment should be used from April through October (warm weather months) We will administer preventive treatments at no charge. Collars: We only allow regular cloth or leather collars in the dog runs. If you do not want your dog to wear a collar please let us know. Runs: Every dog has its own indoor/outdoor run. 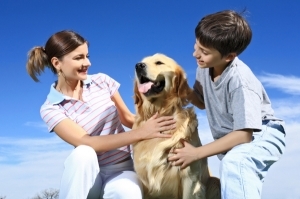 For families with multiple dogs their dogs may stay altogether in one run if they wish. The indoor section is temperature controlled: cooled in the summer and heated in the winter. The outside portion is covered so your dog is protected from the rain, and can choose whether or not to lay in the shade or sun. Potty Breaks: Every dog is taken to a yard to potty three times a day. These are not play times, but do allow your dog some outside stimulation and regular places to potty. Some dogs don’t want to potty in their runs (associating the cement floor of the run as being indoors) and will try to hold it for as long as they can. This is very unhealthy for your dog. Feeding: We feed twice a day at approximately 7:00 a.m. and 5:00 p.m. We will feed three times per day if requested. We prefer that you bring your own dog food as that is better for your dog, changing food quickly can cause diarrhea. We prefer that you do not bring any bowls, unless your dog needs an elevated bowl or slow feeder to eat from. You may bring a bag or a container of dog food, it does not have to be individually packaged for each meal. It is normal for some dogs not to eat as much when they are away from home. However, we make sure that every dog eats after 24 hours of arriving. Personal Belongings: You may bring anything you wish for your dog, we just ask that it is not something valuable to you as we cannot guarantee that your dog will not damage it. Shy or fearful dogs do tend to be comforted by having something with their owner’s scent in their runs, like a worn T-shirt. Toys and Treats: You may bring appropriate sized toys and treats/bones. However, we do not allow baked/basted bones. These bones splinter and break into jagged pieces, they are not safe for your dogs. We will also take away any rawhide after 9 p.m. and will return it the next morning. Some dogs tend to swallow rawhide whole when it gets small enough. We will put treats in treat dispensing toys throughout the day at no charge if requested. If a toy becomes damaged, or a treat too small, we will take it away from the dog for its safety. Bedding: You may bring your own dog’s bedding or we can supply bedding or a dog cot (raised bed – Kuranda brand) at no charge. Medicine, Supplements, etc. : We do not charge extra for any medications, supplements, vitamins, etc., unless more than 4 pills per dog, per meal. For dogs that have more than 4 pills per meal we will charge $1 per meal. For medications please bring extra in case you are unexpectedly delayed. Insulin Shots: $1 per shot. Please bring extra needles and insulin in case you are unexpectedly delayed. Overnight Boarding: Includes three daily potty breaks. A day is considered a 24-hour period. If you drop off during the morning hours for overnight boarding and pick up in the afternoon, an additional half-day will be charged rather than a full day. For example: If you drop off one dog on a Saturday morning, and pick up on Sunday evening, the cost is $27.00 ($18.00 daily charge plus $9.00 half-day charge). Discounts: Only applies to boarding rates. We give a 10% discount for active military. We also give discounts for multiple pets, such as a cat and dog, bird and dog, etc. A 10% discount (which starts on day 1) is given on stays of 14 days or more. We also have special pricing for long-term stays. Please call for pricing. Only one discount can be applied per boarding period. DOGGIE DAY CARE: Your dog will stay in a standard size, indoor/outdoor run, not a crate. Day Care dogs get one play time and two potty breaks each day. Additional services may be purchased. Day Care is available every day. Drop off between 7 and 10 a.m., and Pick Up between 4 and 6 p.m. PLAY TIMES: are approximately 20 – 30 minutes. Cost is $4 each session for 1 dog, and $2 more for each additional dog of same family. GROUP: Your dog will be evaluated prior to entering a group play time. Most male dogs over 1 year that are not neutered are not good candidates. While size of a dog is considered when pairing dogs, playfulness (level of activity) is the key factor. If your dog cannot have a group play time, we will give your dog an individual play time. INDIVIDUAL: We will play with your dog. Common activities are throwing a ball or Frisbee. WALKS: Approximately 20 minutes, cost $4.00 for 1 dog and $2 more for each additional dog from the same family. We have over 16 acres to walk your dog. We can vary our walking path for your dog’s pleasure. SWIMMING: Approximately 20-30 minutes, cost $10.00 for 1 dog and $5 for each additional dog. Dogs should already know how to swim in a pool. If you want us to teach your dog to swim the cost is $30 for each session needed. Once your dog can swim, then the standard $10 per session is charged. TRAINING: We can train your dog while it is boarding. Average cost is $50 a day (includes boarding). BATHS: Our baths include brushing, ear cleaning and nail clipping (if possible). Price depends on length and condition of coat. Prices range from $18.00 (small dog, short hair) to $45.00 (large dog, long hair). We will give you an exact price when you drop off your dog. GROOMING: We have a professional groomer on staff. Michele can quote you a price over the phone or when you drop your dog off.